Her Royal Highness Crown Princess Katherine and Mrs Kathy Fanslow, President of Lifeline Chicago Humanitarian Organization whose Patron is HRH Crown Princess Katherine, visited today Bijeljina (Republic of Srpska) and delivered humanitarian aid to the flood victims. Crown Princess Katherine and Mrs Kathy Fanslow were welcomed by Dr Goran Mutabdzija, Minister of Education and Culture at the Government of Republic of Srpska, Mr Miroslav Milanovic, chief of cabinet of the Prime Minister of Republic of Srpska, Mr Mladjan Cicovic, director of the Office of Republic of Srpska in Belgrade and Mr Radovan Bikic, principal of primary school “Petar Kocic”, where delivery to 90 families was made. 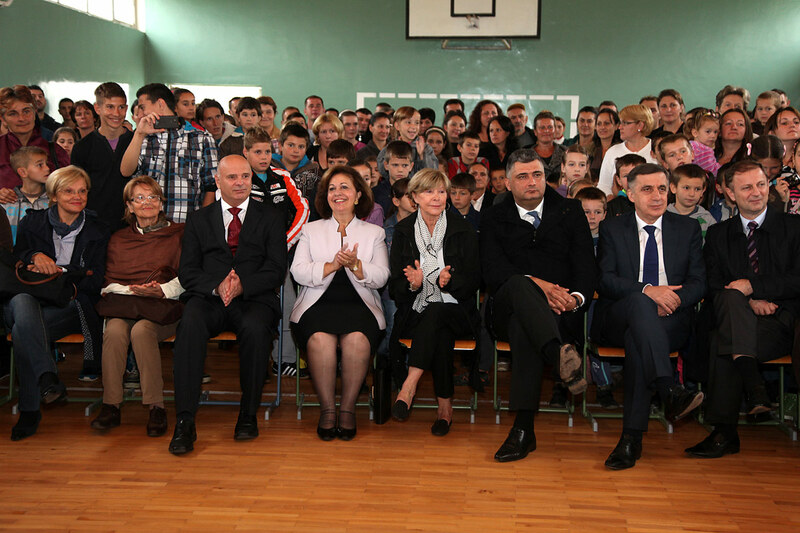 Children at the school welcomed dear guests and performed very interesting program. “I am happy to bring this valuable donation to you today. You must be brave in these difficult times, and my husband Crown Prince Alexander and I, and our friends from Diaspora, and all people of good will in Serbia and abroad, will continue to help all those who need assistance the most”, Princess Katherine has emphasized in her address. HRH Crown Princess Katherine and Mrs Kathy Fanslow brought with them hygienic parcels, food and kitchen utensils, pillows, blankets, towels, school supplies. Crown Prince Alexander and Crown Princess Katherine sent a lot of humanitarian aid to citizens of Republic of Srpska who suffered great damages during the disaster. 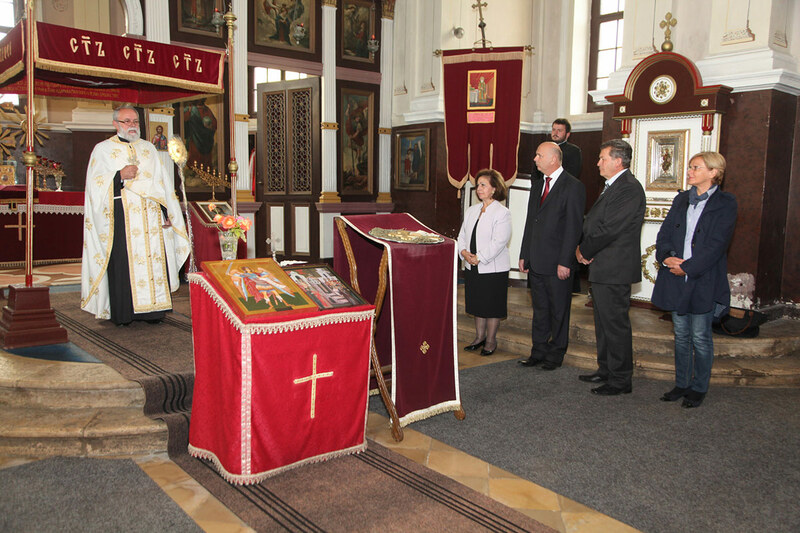 Crown Prince Alexander and Crown Princess Katherine have the same feelings for Serbian people in Republic of Srpska as for people in Serbia, and their prayers and good wishes are directed to people in both locations. Crown Prince Alexander and Crown Princess Katherine and family will continue to work for the benefit of our people both in Republic of Srpska and Serbia, sending a clear message that Drina River is only a river.